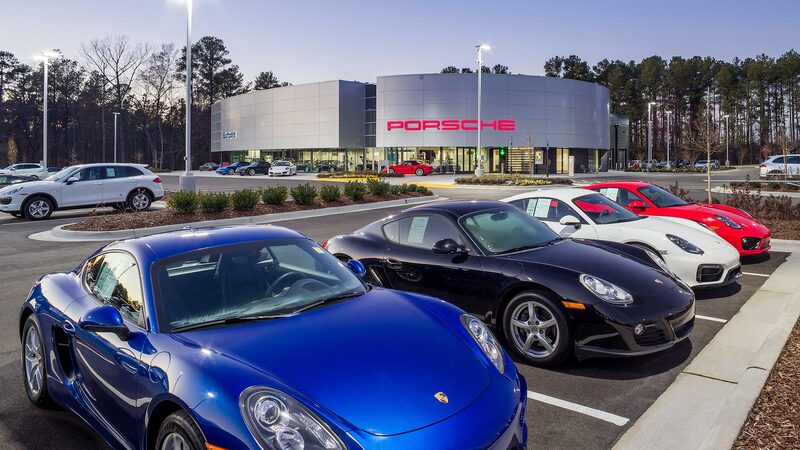 The most recent addition to Hendrick Automotive Group's Southpoint Automall is this Performance Porsche. 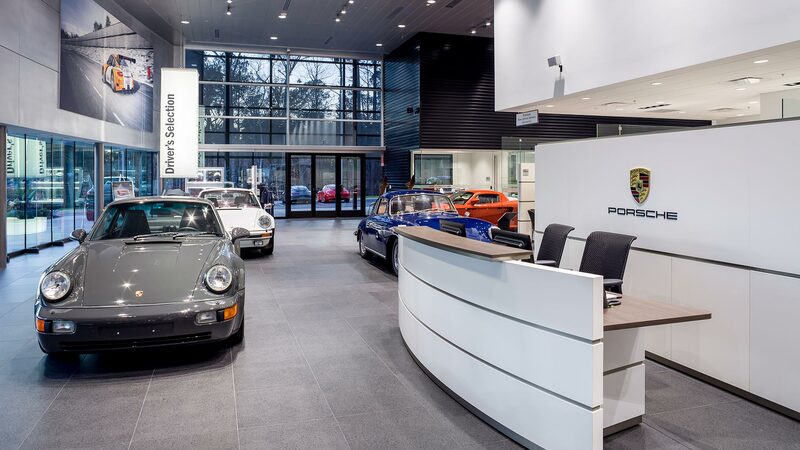 The building’s exterior is comprised of a mixture of composite metal panels, perforated metal panels and a curved storefront system that seamlessly flows together to give it the distinct Porsche look. Comprised of 8 service bays, 1 wash bay and 2,600 sq. ft. of parts, Porsche at Southpoint replaces the Performance Porsche building from the Performance Automall in Chapel Hill, NC.